Caged chickens lay eggs in a chicken house in San Diego, Calif.
Bill Maher is taking aim at one of his favorite retailers, calling on Costco provide humane treatment of the chickens that produce the eggs it sells. In an Op-Ed column in the New York Times entitled "Free the hens, Costco!" the liberal comic says the retailer should demand that its egg suppliers stop using 9-inch-by-9-inch cages -- known as "battery cages" -- which he argues prevent the chickens from being able to move around during their two-year life span. 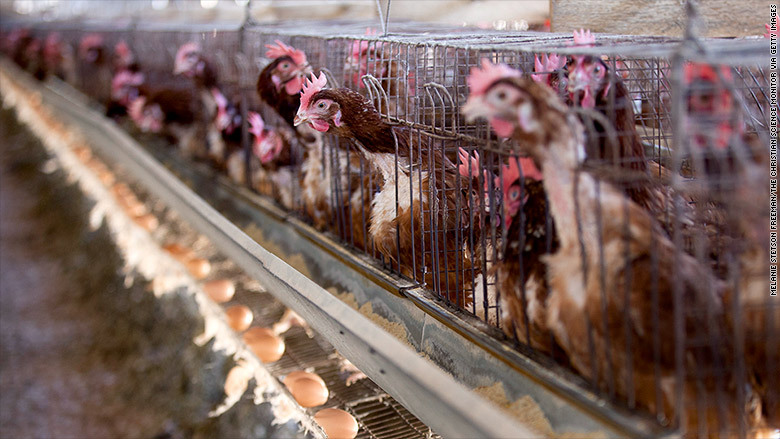 "Make no mistake about it: Battery cages torment animals. Physically, the animals' muscles and bones waste away from lack of use," Maher wrote, adding that the chickens can develop deteriorated spinal cords, become paralyzed and then mummified in their cages. He calls it a "hideously outdated and cruel practice." "A company that takes pride in its other socially conscious positions can do better than this," Maher added. 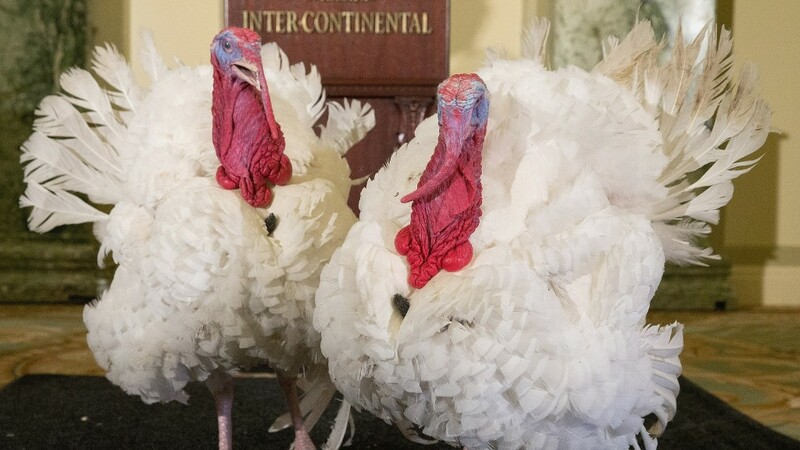 "Costco, please, free the hens already,'' Maher concludes. A spokesman for Costco (COST) was not immediately available for comment. Costco has already demanded that its pork suppliers stop locking pregnant pigs in cages called gestation crates by 2022. Because the pigs are re-impregnated soon after they give birth, they can remain in the crates for virtually their entire lives. Maher says that he generally likes Costco due to its reputation for good wages and benefits for its workers as well as its support of Democratic candidates by Costco executives and employees. Actor Ryan Gosling made a similar public call on Costco to change its egg policy last month. In recent years a number of other companies have recently announced moves to demand its eggs suppliers stop using battery cages, including cereal and cookie maker General Mills (GIS), which announced the move last week, and fast food chain Burger King (QSR), which announced the change in 2012. One Costco egg supplier, Hillandale Farms in Gettysburg, Pa., was recently caught on an undercover video by the advocacy group Humane Society of the United States mistreating its chickens. But a spokesman for Costco told CNNMoney in June that "inspections that we have conducted there as recently as this week confirmed for us that Hillandale is behaving appropriately."